Marriage is a wonderful. thing. 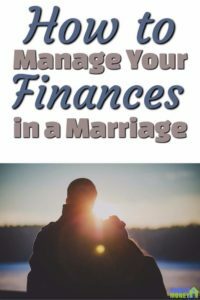 But trying to figure our how to manage finances in a marriage can be tricky. We don’t all have the same values and ideas. Plus we bring with us the past experiences of how our own parents managed (or didn’t manage) their money. Since this is a big reason for couples splitting up , let’s get you on a better footing managing your finances in your marriage. I’ve broke it into 4 easy parts and if you are interested there is a guide to help you too. You can get it here. Every relationship is different. We both bring our past baggage, err… experiences, good and bad into the new couple we are forming. Whether it’s good or bad experiences, the past shapes us to who we are today. I think this is a great thing. Personally, having gone through the rough stuff of relationships before meeting my wife, has made me appreciate the great things I have found in her. I’ve often said, if we didn’t have our pasts we could have never shaped this amazing present we have together. 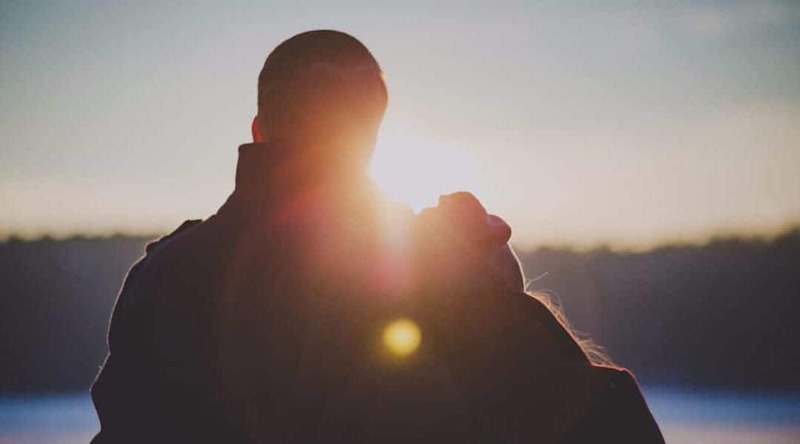 A good foundation to getting your couples finances in order relies on talking about money. My wife and I started talking about money on the second date. Yikes! I know right?! Mr. Romantic coming to you straight from the calculator. But she still stuck around for a third date and everyone after that. *Single People Warning!!! if you are reading this I’m not saying this is the right way to start off a relationship. In fact it’s probably the wrong way. But, when we met I was at a point where I didn’t want to waste time with someone who wasn’t going to be a good fit. I also didn’t want to waste her time either. Too many times you can go down the new relationship road and then realize, “Crap! This is just bad, bad, bad.” So…. since both of our time was already at a premium (new full time job, attending night school, etc…) I figured it was would be fair to start talking about it right away. In that approach we got a lot of things out in the open right off the start. The more we talked the more we realized we had the same outlook on money. We both loved to travel, had similar life goals, similar upbringing, strong family values and as an added plus we both looked at money in the same way. This was a great fit. The best time to start talking about money is sooner than later, it doesn’t have to be a deep conversation, but just start the habit of talking about money more often in a positive way. It gets it out there in the open. I know people that, when it comes to their couples finances, there is no talking about it. Some have been together 10 years and still don’t talk about money. They don’t know how to talk about it. This is usually because it was never spoken about in the home, their friends never spoke about it. They may yell about it, but really talking about it and getting things out into the open as a means of constructively getting somewhere just isn’t taught in any household. It’s learned by example. Your couples finances and money situation can’t improve unless you start to…. Talk, Talk, Talk About It! This should be obvious, but it’s not. There are so many couples that do not talk about money and it’s always a concern. Resentment and anger are just the start when people don’t see eye to eye with money and don’t talk about it. Don’t let this be you, get used to talking about money. Just to be clear, talking about it does not mean getting angry at the person because they spent too much money on food last week, or beer, or makeup, or anything else you can think up. Get used to talking about it in a cooperative way, you are making a lifetime partnership with someone and if you don’t start talking about money now it only gets harder. If you are new to talking about money with your significant other here are a few ideas/questions to get you started. How did you spend money when you were younger? Do you have any money memories that stick out? What did you do with your first allowance? Was money a source of pain or discomfort in your house? Was couples finances something that was spoken about or kept quiet? Who do we know that is really good with money? What would life be like if we were to save more? What is the biggest reason to get better at money? Any of these are just designed to open a conversation about money. Use them to get the ball rolling. When you are talking about your couples finances, it can get pretty charged and can go off the rails. Here’s the do’s and don’ts about having a money conversation with your significant other. I’ll be the first to admit, that I’ve broken a few of these from time to time. Let the person talk openly and say what they need to say. Keep talking about it. Little bits of information more often can be better than a big long convo about money. Talk about the concerns you and other people have about money. Talk about couples that have good money habits and how you can be more like them. Talk about ideas of saving more, spending smarter. Discuss the future and how to improve it. Talk about how you see your lives at the end of work. Talk about the mistakes you have made around money. Mention your own problems and limitations. What you think you have done right and where you think you can get better. Bring up past sore points. Blame, this is a sure way to stop a conversation. Talk about how it would be so much better if the other person only did…. Blame the other person for things that are in the past. Feel like you are being punished or punish the other person. Talk about mistakes the other person has made. Once you have started to talk about money you are ready for the next phase of you money relationship. This person loves to save their money, they see spending as evil and see every dollar that goes out as an extra dollar that could have helped them in the future or in retirement. This is a person who finds money to be beneath them and getting into a money conversation is going to be a challenge. 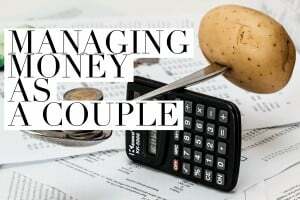 If you are looking to start becoming a better money couple I would recommend you check out our eGuide “A Couples Guide To Money”. 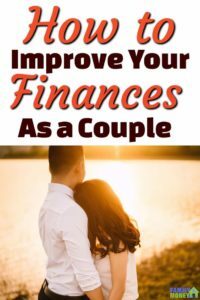 It’s will walk you through the steps that you need to cover to be better with your finances as a couple. Now that you are starting to talk about money you will need to pick a system for managing your money. When it comes to handling money in a relationship there are a bunch of different ways you can do it. In the end, both of you need to come to an arrangement of some sorts. There are 3three Big ways to manage your money. Inside of those three ways there are a ton of different ways to handle it. Today we will just look at the different ways a couple can handle their finances together. There are really only a few ways to do money as a couple. Within those ways there are a lot of varieties. This is the old school married version that we all here about. It’s also what my wife and I started to do when we were married . You have one main account. Both of your income (and any other income) goes into this account and this is what you use to pay your debts and expenses. Within this you can have systems for saving and paying things off but the way it goes is pretty basic. The two of you have everything joined and what you both earn is both of yours. This is pretty common for some people. Others I know have managed for years as a couple never doing this. A pooled system is pretty straight forward too. Each couple puts a certain amount of their own money into the one account that handles all of the joint expenses. Then that account is used to pay the common bills. Common bills are things such as rent or mortgage, insurance, property taxes, food, gas, electricity and whatever else the two of you decide as a couple. The money that doesn’t go into the pooled account is yours (and theirs) to keep for themselves. This is pretty popular with new couples and there are a lot of joint venture businesses that work the same way. It can also be called “Yours, Mine, Ours” plan. I don’t see any harm in this as long as it’s mutually agreed upon. Things to consider with this method is when you have a child. What if one of you is off of work for an extended amount of time? What if the refrigerator break? What if there is a major repair needed to your place? In the beginning this will make sense, but as time goes on just know that the arrangement will most likely change and evolve. Just like any relationship. I see a lot of couple start out this way too. They have the rule, “What I earn is mine, What you earn is yours”. Seems to make sense when you are starting out. The challenges come up when you are moving in together. Buying furniture, groceries are all separate. This is my couch, that’s your yogurt. It’s basically a roommate. Not a bad way to start out. So many couples and marriages split that it’s a good way to start. Consider a trial run financially. That way you can see how they run their money life. One of these systems will fit your lifestyle and situation better than others. The right one for you is a very personal decision. Once you have decided which method you are going to use you will need to come up with a system. We will cover this on Monday in the next post. This is often the most overlooked part of a money system. When will you be putting money in to the combined or joined account? When do you get paid? Are you paid monthly? Weekly? Semi-Monthly? You will need to figure out when money is coming in. It won’t help you if rent is due on the 1st of the month, but neither of you are paid until the 5th of the month. When is the money coming in? When will you both be contributing to the joint account (if you are going that route)? You need to know what is coming in and out of that account and when. Timing is often overlooked but it’s the most crucial part of creating a money system. Your main account should have a safety level. An amount that if the account drops below it needs to be refilled up to that level or more. This will save a lot of headaches and worries over time. Ours used to be $4000 now it’s $2000, thanks to being mortgage free (which you can check out here if you want more details). A good rule of thumb is the amount of expenses for a month or two so that you always have access to funds in case something unexpected comes up. This isn’t part of an emergency fund it’s just part of the day to day living expenses. When are your expenses coming out? It’s a good idea to have a financial calendar. Something that shows what dates the expenses come out, and when money is coming in. I use a grid system and in the past had a “mock calendar” done up to be a little more visual. Where does it come out of (Bank Account, Credit Card)? What day of the month does it come out? This is a key one. How many accounts will you have? Just the one main account? Are you each going to have your own account for spending purposes. Will you have savings in a separate account? Who will be responsible for paying the bills? Who will look after the day to day of the bank accounts? This is an important piece. It’s a good idea to each have some input and access to the accounts. This is an important part for us. As a couple, your money system will be however you decide it to be. If you want to have a good relationship with your significant other and money, make sure you each have a little bit of play money every month. Especially if the two of you are starting out as a newly joined financial couple. Everyone is different. Some couples do $20, some go a lot higher. Your financial situation will determine what you can use as play money. This money is designed for YOU. YOU get to do with it whatever YOU want. Feel like saving up and buying a new phone? Go for it! It’s yours! Want to use it to go on a weekend shopping trip with the girls? There is no need for the others approval with this amount. It’s just play money and IT’S YOURS to do with it whatever you want. So if you feel like buying every Taylor Swift song ever go ahead, it’s your money to do what you want with. The only way the system will work is if it’s automatic. Set it up so that the money from each of your accounts is transferred to a joint account (or however you have decided to set it up) after payday. That way it’s done and there is nothing else that can be left to chance. There will be some bumps in the road. That’s normal for every new system. Part of your savings for your life as a couple should cover an emergency fund. The usual recommendation is to have 4-6 months of expenses saved up in case there is an emergency that needs to be covered. This money should be easily accessible. I’ll go more into emergency funds in a later post but for now, know that you should start saving towards this. When new things come up with your money system, like unexpected expenses, it’s usually not in a one-time thing. If the car breaks down and you need a new one, start thinking what else could break at some point? Vacuum? Dishwasher? Refrigerator? Revisit the money system and make up some new rules for these things as the come up. Maybe you need to put more into a separate account for these big ticket items. Maybe there is a better money system that the two of you need to figure out together and start using that method going forward. In our next post, I’ll explain the one thing that has been the key to our financial success as a couple. This one thing has taken us from month to month living to growing wealth systematically over the past 8 years. Make sure you sign up for our newsletter so you don’t miss out! All of it is necessary when you are a new (or old) couple if you are wanting to be financially successful. This last part is probably the most important. It’s the reason why we were able build our wealth, save up for a home, and most importantly never fight about money. That’s right, my wife and I do not fight about money. Since we put all of this in place we don’t argue about our finances. I believe that every couple should have some sort of agreement, usually it’s not a formal written out agreement. But it can be, if you feel it is necessary. For us, when we came up with our simple money management system we decided that it needed to be in writing. Not because we wanted it to be binding (though it’s an option if you feel it’s necessary). But because we are visual people. We had our system of where the money came into and where it flowed out and on what dates. In the beginning it looked like that wall from the movie “A Beautiful Mind” where he has strings going to and from pictures, now it’s a lot simpler. Just a reminder: It’s not a legal contract or something to trick the other person into. It’s an agreement. Something that you both come to agree on and when something comes up you can use a reference. With our combined system, we have given dollar amounts to certain accounts that we use every month and others we let build over time. That way if something comes up we have the money for it. For example: We have a health and wellness account. Every month we take a preset amount ($100) from our main account and put it into this “Health and Wellness” account. This account is for things related to improving ourselves. Whether it’s physically, mentally or emotionally. So if one of us wants something, they can check the balance in that account and ask if some of the money can be used towards that aspect (our health) of our lives for a purchase (running shoes). This is the benefit to agreeing on a system. It’s important that you start giving your money a purpose. Just like people if you don’t have a purpose for your money it won’t do very much for you. In the beginning the idea of an agreement is kind of weird. 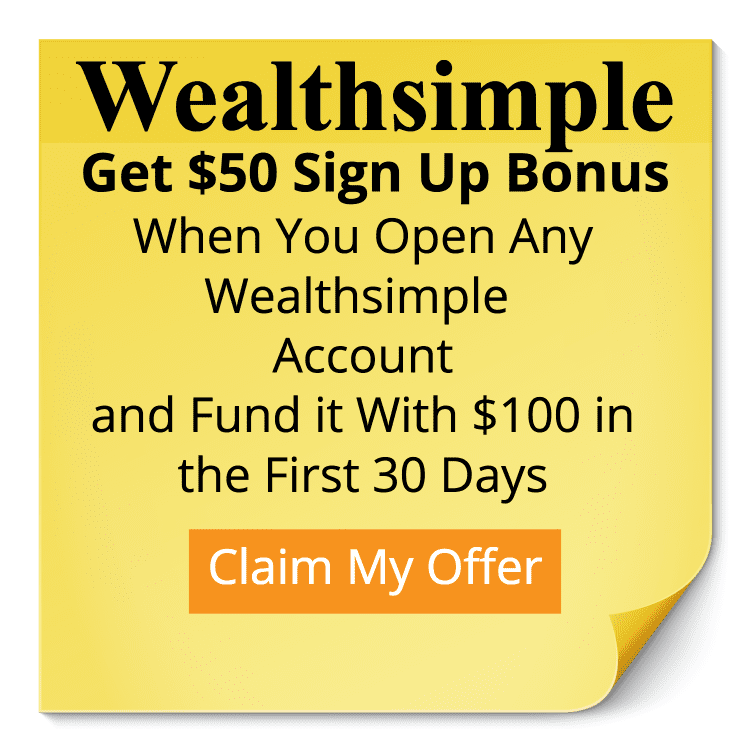 But I have taught our money management system to hundreds of people and they all say it’s the best thing that they could have done for themselves. This agreement puts you both in charge of your money. It makes you think about your finances and then puts it on autopilot. It removes the pressure of one person being the dominating money personality. The agreement is the boss, not a person. If there is no money in the health and wellness account, well then that’s the end of it. There’s no guesswork, or blaming. The money isn’t there. End of conversation. Wait a month and there will be more money in it and then you can decide if what you wanted today was worth the wait. I hear so often people say “He’ll never let me buy that” or “She’s never going to let me have this” with a good system it’s all covered. This is probably the biggest game changer for us as a couple. The agreement we agreed on took the pressure off one of us being the “Bad Guy”. Or the chief money decision maker. Remember: As time goes on, just know that the arrangement will most likely change and evolve. Just like any relationship. Eventually there are going to be some disagreements or maybe even arguments. Somewhere along the lines someone will want something larger. Want to use the money in the pooled account for something else, or use it for a huge purchase. Like a new car, or a trip or anything else that you didn’t initially cover when you came up with the agreement. That is the time where you can make a note of it and come back to revising the agreement. Don’t let this be a one sided thing, if you are a spender and your spouse is a saver then make sure you are both getting some benefits out of changing the agreement. ✅ Step 4: Come up with an agreement you can both get behind. Very good article! Excellent idea to not waste time on someone that would not fit the life that you want to achieve. Only comment I have is maybe spend a little time spell checking so to make some sentence make sense.. 🙂 Otherwise, probably the best relationship/finance I have ever read this year. Thanks Dan.I appreciate the kind words and the advice. I’m terrible at editing my own work. But I will go back and make the changes. I’m glad you enjoyed it. 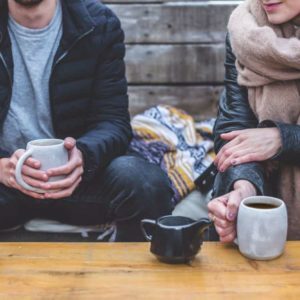 The part about talking about discussing things probably applies to most parts of relationships, if you and your partner come from vastly different backgrounds you need to discuss things and come to mutual agreements before they become problems in the future. If one person was brought up to save everything and the other person live sin the moment and spends every pay cheque as soon as it arrives I can see that causing some major problems in the future when planning for big purchases like cars or a house. or even planning for a kid. Thank you! You are so right. There is a lot to be said about making sure you keep the conversation going once you have started it. 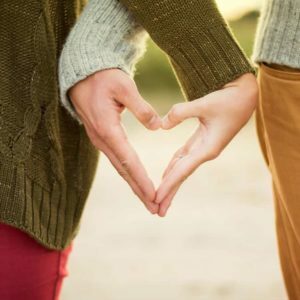 Your article contains a lot of great advice for couples. At our marriage preparation course the leaders gave us each a cue card and asked us to record how much our partner could spend without asking for the other’permission. My fiance and I recorded remarkably similar values. After almost 15 years of marriage we still hold that value true. Hopefully couples take the time to talk about money. Marriage is a financial partnership too.